Mindful design can help you change your screen-centric ways. Modern technology is nothing short of a miracle, but progress brings inevitable side effects. Constant connection can make it hard to remember to make time to unplug regularly. And it’s affecting everything from our sleep to our productivity. Some innovators are getting to the root of this problem by using technology to help us be smarter about disconnecting. Here are 7 examples of apps and products that can help. 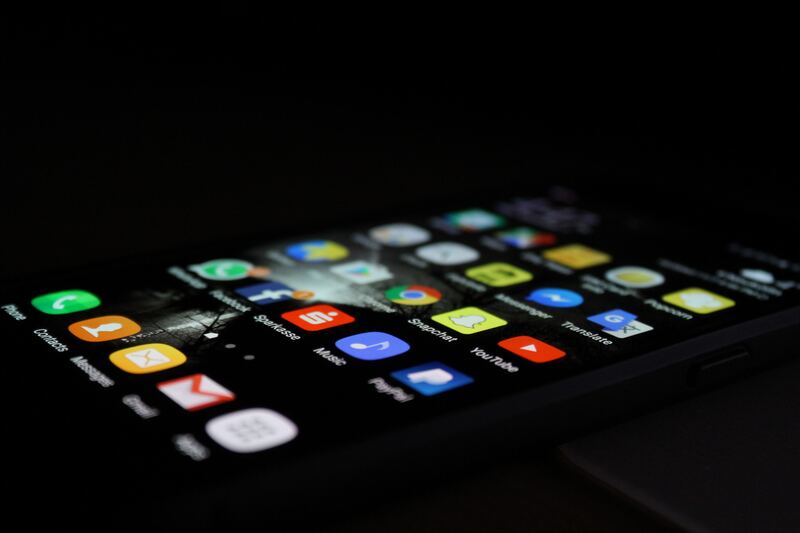 Space: Apps like Facebook, Twitter and Instagram are designed to grab hold of your attention and make scrolling through their interfaces a force of habit rather than a conscious choice. Space wants to put you back in charge. The app “loads a Moment of Zen before apps you need space from,” according to its website. You’ll open Facebook, for example, but before you’re able to scroll mindlessly through your News Feed, you have to wait a few seconds and breathe. That brief break helps you decide if you really want to continue on to the app or if your time and attention are better spent on another activity. RescueTime: Think of RescueTime as a time-management wake-up call: It collects data about how much time you spend on specific applications and websites to help you better understand your habits and structure your schedule accordingly. (RescueTime runs in the background of both your computer and mobile devices.) It allows you to block the sites that distract you the most (ahem, Facebook) and sends alerts when you’ve spent a specific amount of time on a given activity. For example, if you decide that you want to limit the time you spend on work email to 1 hour per day, RescueTime will let you know when you’ve reached that limit. It uses data to help you be more efficient, but it also provides detailed reports on your activity which can help you learn more about your work style and increase your productivity. Light Phone: The Light Phone is part of a new wave of “anti-smartphones.” The minimalist, credit-card sized phone allows you to make and receive calls (via call forwarding from your smartphone), but that’s it—no apps, email, texting or camera. It’s meant to be used as an alternate phone during times when you truly want to disconnect but want to be able to reach people and be reachable in an emergency. With the Light Phone, you still have the option to connect when you absolutely have to, but you can travel through the world without being tethered to a touchscreen. Nokia 3310: Nokia is taking us back to the 1990s by reintroducing the 3310, a small $50 phone with a T9 keyboard and no access to the internet. Much like other “dumbphones,” the 3310 gives you a taste of life pre-smartphone (for perspective, the iPhone only came out in 2007). The phone doesn’t have social media, making it ideal for outings like camping, concerts or dinners. You can access a phone if you need it but be blissfully freed from the urge to view your experience through a screen. Siempo: Siempo is another pared-down phone geared toward helping you set boundaries with technology. The device has many familiar features like texting, a camera, Google Maps and notes. What’s missing is access to email or social media. The phone could be used as a secondary phone, like the Light Phone, but it’s better equipped to replace your current, ultra-connected phone. It lets you set a “pause” mode that mutes all notifications for a specified amount of time, and it includes a “mindful morning” feature that allows you to decide how you want to interact with your email and apps at the start of your day. Yondr: For people who have a harder time disconnecting, there’s Yondr. Yondr is a sealed pouch you put your phone in, and it can only be unlocked with a special tool. The pouch has gained popularity with musicians and performers trying to stop fans from posting content from concerts or shows on social media. Having audience members lock up their phones helps quell our 21st century urge to record and immediately share everything, but it also has uses closer to home. Yondr could be an easy way to get the entire family offline for dinner, make sure colleagues are focused during a meeting, or encourage actual, face-to-face conversation at a party. The Phone Bed: Thrive Global’s Phone Bed Charging Station encourages healthy sleep hygiene for you and your phone. Smartphones disrupt your sleep cycle because of the blue light they emit. This station makes putting your smartphone to bed a regular part of your nightly ritual, reducing your exposure to that blue light in the critical time right before bed. First you tuck your phone in, and then you go to bed yourself. By giving your phone its own bed—outside your bedroom—you can say goodnight to your day and get the sleep you need to wake up fully recharged. Evaluate your app business: A must-have or nice-to-have?